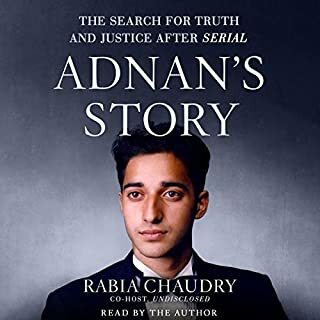 I have followed Adnan's story from Serial, to Undisclosed, to Truth & Justice and many blogs, tweets and articles. Through this, I have come to respect Rabia Chaudry and a beautiful, strong, woman who is certainly blazing trails wherever she goes!! After listening to this book, I feel like I know the story more deeply and have a renewed passion to see justice for Hae!